Vacation Apartments studios & rooms by the sea Lefkada (Lefkas)! Initially built as a family house hosting a great selection of plants and trees through a under neath especially designed eco system that allows us to enjoy nature creations at its best, 25 years later. 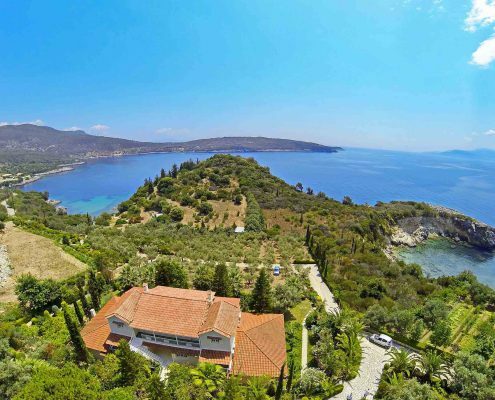 Located on a hill with views over the Ionian Sea and the island of Ithaki, Villa Kastri offers furnished accommodation set amidst lush surroundings with access to a beach through a private path. Rooms and apartments at Villa Kastri come with a satellite TV and WiFi. Guests can relax on the gardens and the verandas of the units and enjoy the natural surroundings. Porto Katsiki Beach is 22 km away. Vasiliki is at 11 km and Nydri is at 21 km, both providing mini markets, bars and tavernas serving local specialities. The town of Lefkada can be found within 37 km. Καθαρά και περιποιημένα δωμάτια με όμορφο και καθαρό περιβάλλοντα χώρο. Τέλειο σέρβις.